Community Version: Could be acquired as an installable ISO, docker or software package. Refer to the download section in order to access to the community versions. The community version is delivered without any warranty. 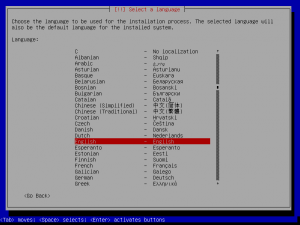 The installation ISO is available for x86 (32 bits) systems and based on Debian GNU/Linux 9. In order to get further features and improved performance is available Zevenet Enterprise Edition. 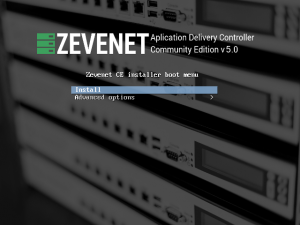 This section details the Zevenet Load Balancer community version installation process. 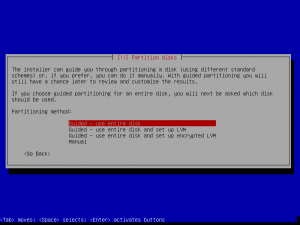 Configure your physical or virtual x86 machine in order to boot from your ISO/CDROM/USB Zevenet Load Balancer installer. Then a splash is going to be loaded to start the installation process. 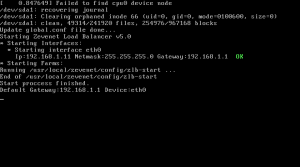 Zevenet Load Balancer is distributed under a standard ISO format built on top of a common GNU/Debian Linux stable distribution. If you’re familiar with such distribution then you should have no problems installing Zevenet LB. 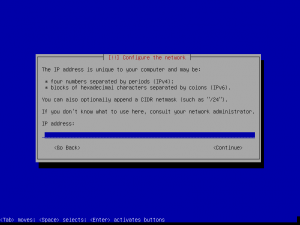 Then the installation process will configure the network interface, you must set up a static IP address that it’s going to be used in the startup to access to the Zevenet web administration panel. 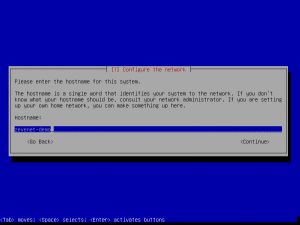 Additional configuration info like netmask, gateway and dns server will be requested along the installation process. 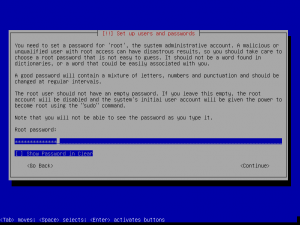 Insert the root system password and repeat in order to validate it. 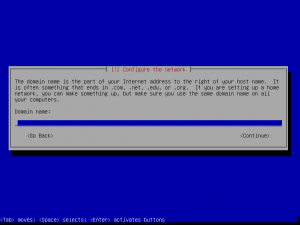 This password will be used when you access through a console or ssh to the Zevenet Load Balancer system. Additionally set your timezone, once Zevenet LB is installed the local time will be synchronized every hour with ntp.pool.org servers. 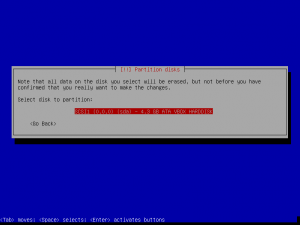 Configure your disk partition, if you aren’t experienced with Linux environment you can select “Guide – use entire disk” and the system will be installed automatically with a default disk configuration. 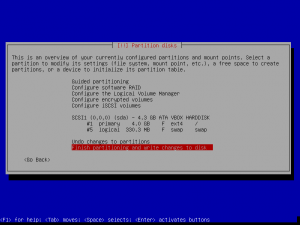 This is the configuration selected as a sample in this guide. 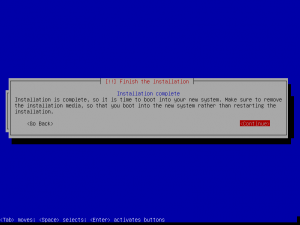 Experimented users could select their custom installation. It would be interesting to know that a special disk space is not needed to work with Zevenet Load Balancer, although minimal recommended is 1 GB of free space for the whole operating system. 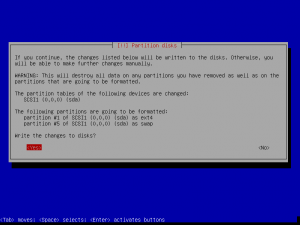 For more than one single disk on your machine could be selected one of them here to be installed. At this point you’ve your fresh new Zevenet LB installation and finally it would be necessary to restart the system. 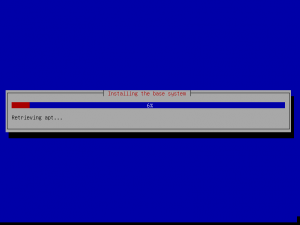 On the boot process will be shown your management IP address configured once the system is started. Zevenet Load Balancer is under continuous development with new features, improvements and bug fixes, so there is a very easy way to upgrade your Zevenet LB to a newer version through a simple procedure.